The Exxon Valdez ran aground March 24, 1989. 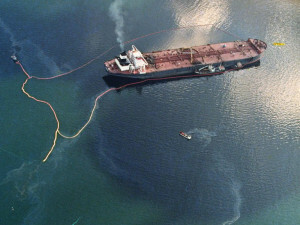 I recall with stark clarity the shock of flying over the tanker wreck on March 24, 1989, and seeing the black inky stain of some 11 to 33 million gallons of oil on the water. 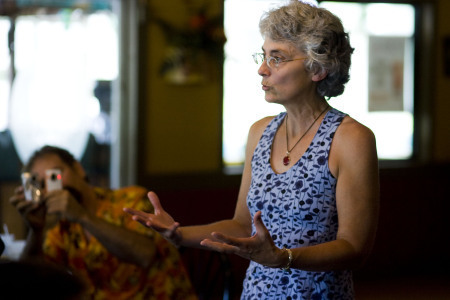 I made a personal vow that day to work upstream of oil spills to help our nation transition off fossil fuels. With my PhD in marine toxicology, I figured I knew enough to make a difference. More importantly, I cared enough. Certainly, at the time, I didn’t know this would become my life’s work––or where this path would lead. During the twenty years before the Exxon Valdez oil spill, as I trained to become a marine toxicologist, laws were passed to protect air and water quality, worker safety, and public health and welfare. Back then the science focused only on part of crude oil, the “light ends” that easily dissolved into water or evaporated into air. 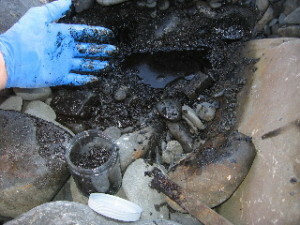 During the twenty years after the Exxon Valdez oil spill, scientists’ understanding of oil impacts in the natural world changed when they focused on another part of crude oil, the heavy black stuff that persists on beaches––the polycyclic aromatic hydrocarbons or PAHs. Ah-hah moments in science, like when it was “discovered” that the world is round, are “paradigm shifts.” The world was always round: it was peoples’ understanding of it that changed. Likewise, crude oil was always toxic: scientists’ understanding of it changed when they understood that PAHs were 1,000 times more toxic to wildlife than the light ends. When breathed or absorbed through skin or consumed, PAHs enter cells and jam cell function, causing respiratory problems, central nervous system problems, skin and blood disorders, weakening of the immune system, and chronic problems such as liver and kidney damage and reproductive dysfunction. In short, crude oil is a systemic poison––not just in wildlife, but in people, too. A whole new field of “environmental medicine” emerged as medical researchers and doctors began to understand the symptoms and effects of “chemical illnesses” on the human body from exposure to oil, synthetic oil-based products, chemicals, and other toxins. 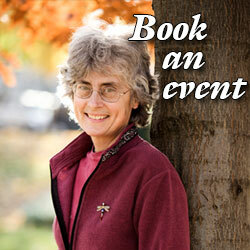 Ideally, science drives public policy and education; as science changes, so should the science-based laws and lore. But I had learned, while growing up in Wisconsin and watching my father in his successful battle to ban the systemic poison DDT, that when ordinary people understand the science, the lore changes, then the laws change. So I spent three years writing my first book on the oil spill, Sound Truth and Corporate Myths, to explain how scientists came to “discover” that oil is more toxic than thought in the 1970s and what laws need to be changed to better protect people, wildlife, and our environment. But no laws changed. Disappointed, but determined, I began to focus more on “the lore” to understand how community experience and teachings change as the collective intelligence adjusts to new information. I learned from experience and writing my second book on the oil spill, Not One Drop, that the Cordova community began to recover from the social, economic and emotional spill trauma when people learned to put aside their differences and work together on strengthening or creating projects that would benefit everyone. My personal ah-hah moment occurred when I realized that shifting this nation off fossil fuels would take a social movement of people who understood the need and were just as determined as me. I left Alaska to help build this movement. Then the BP Deepwater Horizon well blew in the Gulf of Mexico, creating an oil disaster 10 to 20 times the size of the Exxon Valdez spill. I realized this disaster would have deadly consequences, because the lessons learned since the Exxon Valdez spill had not changed the lore and laws of the land. But I didn’t realize how deadly. The unprecedented use of over 2,000,000 gallons of toxic Corexit dispersants resulted in unprecedented harm to people and wildlife, perhaps forever. The ah-hah moment has dawned on scientists and people sickened by the exposure: the oil industry’s cure for oil spills, dispersants, and oil-dispersant combined are far worse than the harm caused by the oil alone. Yet the EPA and U.S. Coast Guard continue to sanction use of toxic dispersants without consideration of these consequences. Dispersants are petroleum distillates and industrial solvents. The oil industry mixes large volumes of solvents as dispersants to break up oil slicks, as diluents to thin tar sands oil for transportation, and as fracking fluids to extract oil from oil-bearing shale. The same properties that facilitate the movement of solvents through oil also make it easier for them to move through skin and into the human body. It should not be surprising that people harmed by oil and gas activities, such as the BP DWH disaster (solvent-crude oil combined), tar sands oil spills (solvent-tar sands oil combined), [link] and fracking activities (solvent-light oil combined) are reporting similar sicknesses and symptoms characteristic of exposure to crude oil and oil-based solvents. It is my hope that, as people’s health, livelihoods, and property are harmed by these extreme oil activities, people will understand the need to shift off oil to safer energy options and take action to achieve true energy independence. This is the movement that I see growing in all regions of our country. This is the movement that I am committed to building.